When do collision warning systems and sensors need calibrating? 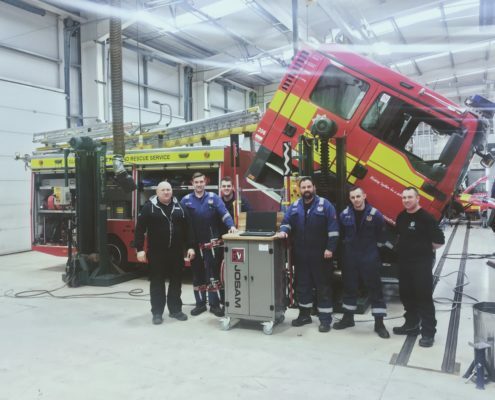 After a collision, cracked windowscreen, error/warning codes being displayed, after 3 emergency breaks have been activated, aftermarket applications increasing weight and post larger adjustments to drive axles. 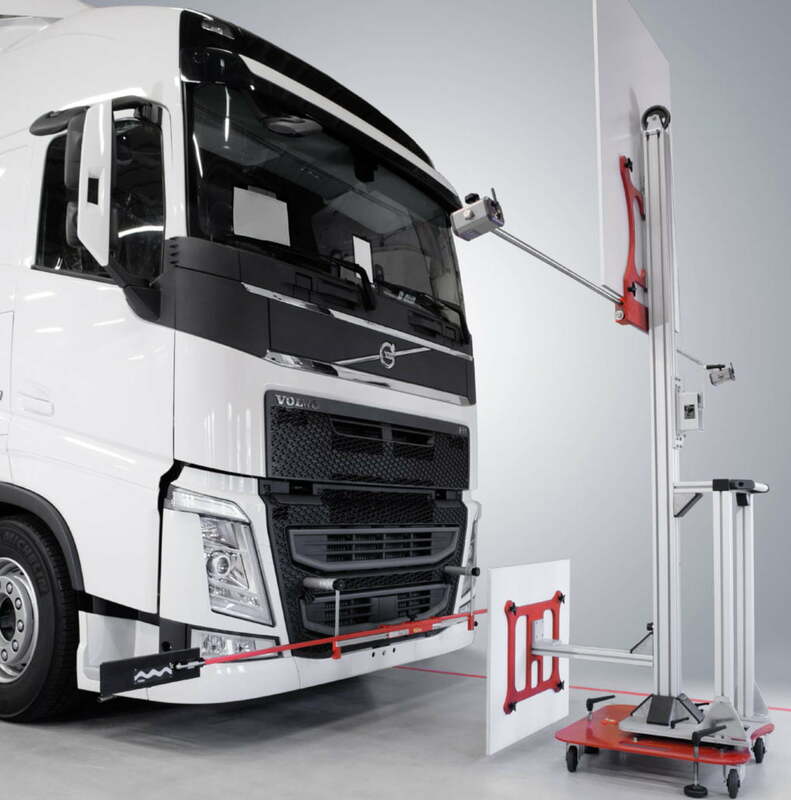 The LDWS calibration equipment, combined with a JOSAM wheel alignment system, is used to facilitate calibration of the camera sensor which provides for the truck’s lane departure warning system. The same camera sensor can also be used for other safety features, such as collision warning/emergency brake. 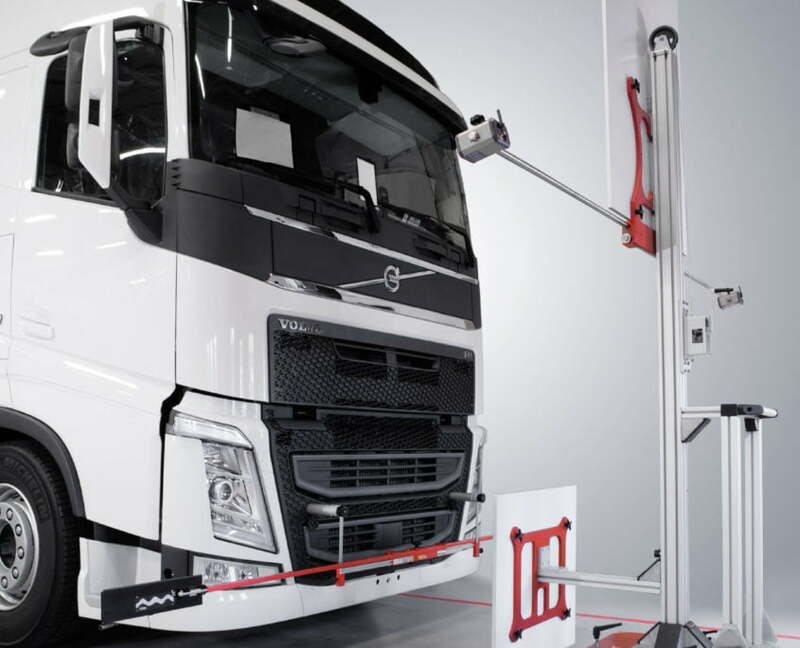 To reduce and mitigate rear-end collisions, OEM’s and truck manufacturers have developed active safety sensors which provide an advanced system for collision warning and emergency braking. The system is usually based on two sensors. 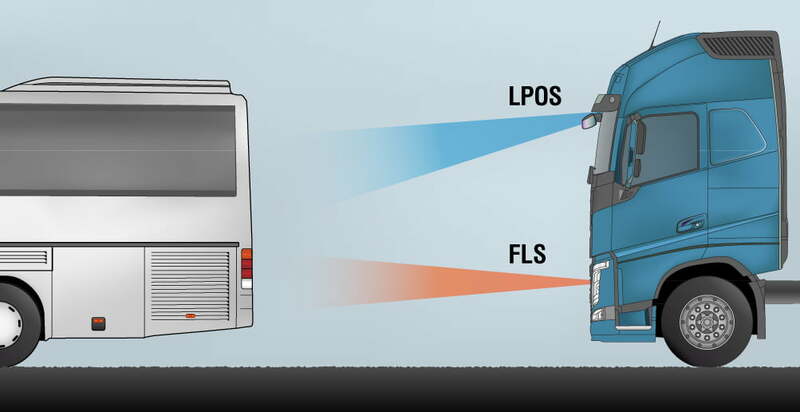 A radar sensor (FLS) measures the distance to and speed of the vehicle ahead, and a camera (LPOS) identifies the type of vehicle. 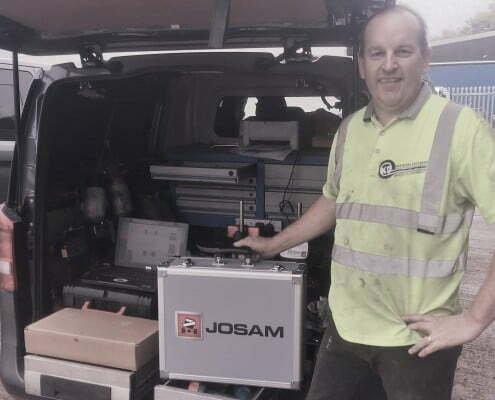 To calibrate these two sensors, two different versions are available, one for Volvo & Renault vehicles and one for M A N. For Volvo and Renault trucks, the calibration unit can be used for both LPOS (Lane Positioning Object Sensor) and FLS (Forward Looking Sensor).